Obituary for Ethel M. (Knighten) Crutchfield | Cromes-Edwards Funeral Home & Crematory, Inc.
ETHEL M. CRUTCHFIELD, 89 of Cullman, Alabama, went home to be with the Lord on Monday, August 20, 2018 at 8:53 PM at the home of her loving son, Gary (Lisa) Crutchfield. She was born on May 18, 1929 in Cullman, Alabama, the daughter of the late Wesley Harvey Sr. and Ethel (Ralph) Knighten. 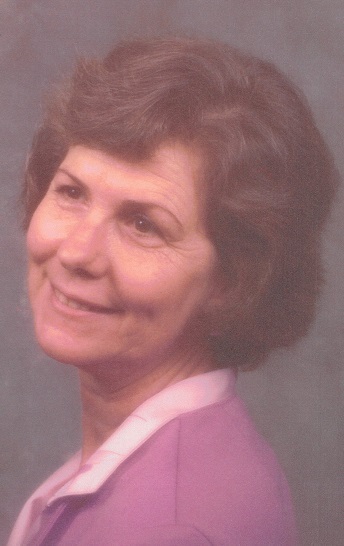 Ethel is survived by two sons, Gary Dale (Lisa) Crutchfield of Sidney, and Randy (Lisa) Crutchfield of Madison, IN, one daughter, Tina (Mark) Cruger of Pensacola, FL, six grandchildren, Charles, Alicia and Patricia Cruger, Jessica Crutchfield, Ansley Crutchfield, and Elizabeth Campbell, one great-grandson, Chester Hughes, a host of nieces, nephews and friends, and special nieces, Montez and Genevieve. She was preceded in death by her loving husband of 64 wonderful years, Troy Crutchfield, four brothers, Jessie, Ralph, Harvey Jr, and Alton Knighten, three sisters, Mamie Oden, Susie Shoemaker and (infant) Ruth Knighten. Mrs. Crutchfield was a member of Flint Creek Baptist Church. She worked at Cullman Lingerie in the late 40s and 50s. She was a loving wife, mother and grandma, and enjoyed cooking for everyone. She will be greatly missed by her family. Funeral Services are pending at Cullman Heritage Funeral Home in Cullman, Alabama. Local Arrangements are in the care of Cromes-Edwards Funeral Home, Sidney, OH.